If you are the child of aging parents, it can be difficult, and even worrisome, to see them struggling to get around their own home. If mom and dad just aren’t getting around like they used to, but they want to keep their independence and remain in the comfort of their own home, hiring a caregiver for in-home help is often the solution. Hiring caregivers for senior citizens is not a one-size-fits-all solution — the type of care that’s needed varies depending on the individual. Just because you’re exploring senior caregiver services, doesn’t necessarily mean that you need to have someone with your loved one 24 hours a day, seven days a week — rather, hiring a caregiver for in-home help may mean a few hours a day for a few days each week. The table below shows the various care options that are available to you and your loved one. While cost and senior care services vary, in-home care is the only solution that allows your loved one to remain in the comfort of his or her home and still receive the caregiver services they need when it comes to helping around the house, medication management and other senior care services. Before you begin to develop a list of home care providers, you need to determine what level of care your loved one needs. Not all home care providers have caregivers that are qualified to manage medication, for example, so it’s important to make a list of specific requirements. These needs usually fall into one of three categories — personal care, companion care and skilled care. We’ve included a summary of each, along with some questions to answer to determine if your loved one needs that type of attention. Once you’ve established what type(s) of care your loved one needs, the next question is — how much care? To get an idea of what level of care your loved one needs, review your answers to the questions below. The more “no” responses you have, the greater level of care your loved one is likely to require. Personal care services are services that involve mobility, personal hygiene, health and wellness. As we age, some of the everyday tasks we do to maintain personal hygiene and stay healthy can be easily neglected and pushed to the side. It’s especially important that personal care doesn’t suffer, as that can have an adverse impact on health. To determine if your loved one might need personal care services, take a moment to answer the following questions. If you answer “no” to any of them, your loved one could benefit from personal care. Can your loved one prepare his or her meals? Does your loved one shower or take a bath regularly? Can your loved one walk to and from the restroom and around the house without risk of falling? Does your loved one put on clean clothes each day? Can your loved one manage his or her illness needs safely and efficiently (driving to doctor’s appointments, taking correct dosage of medication at the right time of day)? Companion care services are helpful in situations when your loved one needs help with house maintenance, running errands, managing their bills and enriching their social and emotional well-being. These are often routine tasks that get harder with age. To determine if your loved one might need companion care services, take a moment to answer the following questions. If you answer “no” to any of them, your loved one could benefit from personal care. Does your loved one clean his or her house? Is your loved one able to take care of the yard work (mowing, gardening, clearing walkways, etc.)? Is your loved one attending social activities with family and friends — like birthdays, holiday gatherings, volunteer opportunities, etc.? Does your loved one socialize with family and friends on a regular basis? Is your loved one able to do his or her laundry? Does your loved one still drive to run errands? Does your loved one remember to take medications at a particular time of day? Skilled care services are necessary when there is a medical component to care — that might mean something as simple as making sure your loved one takes his or her medicine or administering catheters, tube feedings, blood draws, assisting with wound care, physical therapy and other rehabilitation. Can your loved one manage his or her rehabilitation plan if he or she is recovering from an injury or procedure? 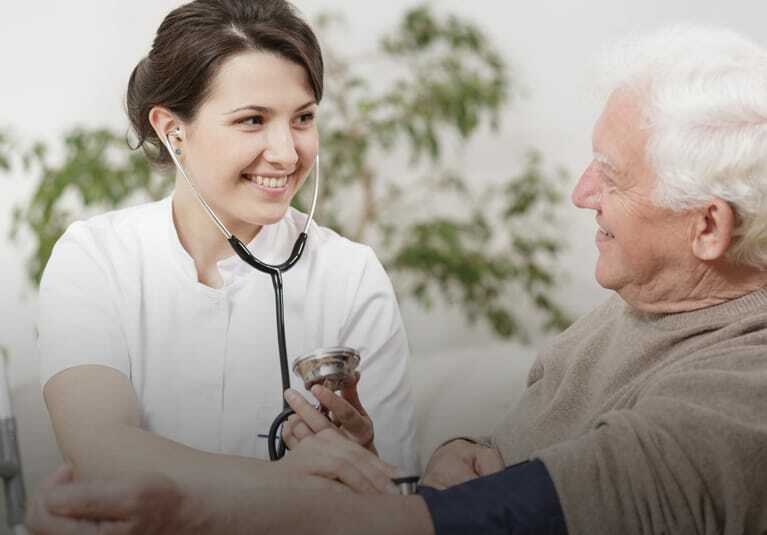 Once you have identified the type(s) and level of care your loved one needs, you can begin searching for a home care provider that will provide the services you need. If you aren’t familiar with home care providers in your area, you can start by visiting your local Area Agency on Aging. Aren’t sure where your local agency is? Start by visiting the Department of Health and Human Services Eldercare Locator and entering your zip code. The list of local resources that populate will include your nearest Agency on Aging. Does the home care provider provide the type(s) and level of care your loved one needs now? Does the home care provider have nurses on staff? Are the caregivers certified in CPR and First Aid? Does the home care provider do background checks on their staff? Is this home care provider recommended by a doctor, social worker and hospital or rehab discharge staff member? In addition to these preliminary questions, one of the biggest deciding factors is cost. However, getting a quote from a home care provider is a complicated process because their services will be completely tailored to your loved one. They will usually do their assessment and need specific details regarding your loved one’s health. That takes time — and if you don’t take that time, you could end up with a quote that changes significantly, which makes getting the quote irrelevant. But you need information related to cost to qualify a home care provider initially, so what should you do? There are a variety of questions you can ask up front to learn more about their payment and billing processes. Does the home care provider require a minimum number of hours per visit? Does the home care provider require a down payment? How frequently will the home care provider bill you for the services? What are the home care provider’s hourly rates for the services you’ll need? If your loved one has long-term care insurance, does the home care provider accept long-term care insurance? Once you’ve screened the senior care service providers, the next step is to assess your options. Choosing two or three home care providers to evaluate at a deeper level is usually more than enough. At this point, many agencies will set up a consultation with you — it may even include your loved one — so they can evaluate the services that are needed and get details on your specific situation. This enables them to provide the best estimate for the cost of care and for you to not only have a chance to ask questions but also to get a feel for the staff within the agency. What certifications and accreditations do the agency and its caregivers have? Who provided those certifications and accreditations? Is the agency licensed for both medical and non-medical care? Does the agency provide insurance for accidents, if they occur in the home? What different levels of caregivers does the agency have? What training is provided to each level of caregiver? Who provides the training? Is there ongoing training for caregivers? all staff? How often are these background checks repeated? How will the agency communicate with you about your loved one? Does the agency create a care plan? How often are the care plans reviewed? Does the agency have a plan in place for quality assurance checks? If your loved one needs more or less care as time goes on, what is the process for making those adjustments? Will adjusting the hours of care mean a change in the person caring for your loved one? If you need to cancel a visit, how much notice does the agency need? What is the agency’s emergency procedure? Are there additional charges for emergency procedures? Once you’ve chosen an agency and worked with that agency to put together a care plan for your loved one, it may seem like the process of hiring a caregiver for in-home help is complete. However, the next step is to monitor the care your loved one is constantly receiving. Even if a home care provider met your expectations initially, you need to make sure they follow through. Are the caregivers and staff members treating you and your loved one with respect? Is the agency responsive when you have questions? Is the caregiver providing the level of care that is specified in the care plan? If there have been any changes regarding the caregiver that visits your loved one, have you been notified in a timely fashion? Does your loved one have any complaints about the caregiver and the care that he or she is providing? While you may be able to answer some of these questions on your own, it’s ideal to have open and frequent communication with your loved one about the care they are receiving, if their health gives you the opportunity to do so. It’s important to make sure that you’re considering these questions and checking in with the caregiver and agency regularly to ensure the level of care continues to meet you and your loved one’s expectations. In addition to these payment options, long-term care insurance can help. What does long-term care insurance cover? If you have a long-term health care insurance policy, you will get a daily amount to help cover daily activity costs, such as bathing, getting dressed, eating, etc. The amount of coverage and the services it covers vary from policy to policy. If your loved one doesn’t already have a long-term health care insurance policy, and is already in poor health or has already started receiving care, he or she may not qualify for long-term care insurance. At Active Home Care, our ultimate goal is to give you peace of mind by providing compassionate, reliable, in-home care for your loved one. We are a licensed Nurse Registry in the state of Florida, and our staff is available 24/7 to address your needs. We provide a wide range of services at home, from companionship to personal and skilled care, as well as medication management. We ensure our clients are provided with a skilled and qualified staff to assist with housekeeping, cooking, laundry, errands and transportation to appointments. Our team of dedicated professionals will assist you through the process of choosing a home care professional that will match your exact needs. We accept all long-term care insurances. If your loved one is located near Aventura, Florida; Coral Gables, Florida; North Miami, Florida; Miami Beach, Florida; or Miami, Florida; we would love to have the opportunity to talk to you about the compassionate care we can provide to you and your loved one. Please fill out the contact form on our website so we can learn more about you and the care you need for your loved one.